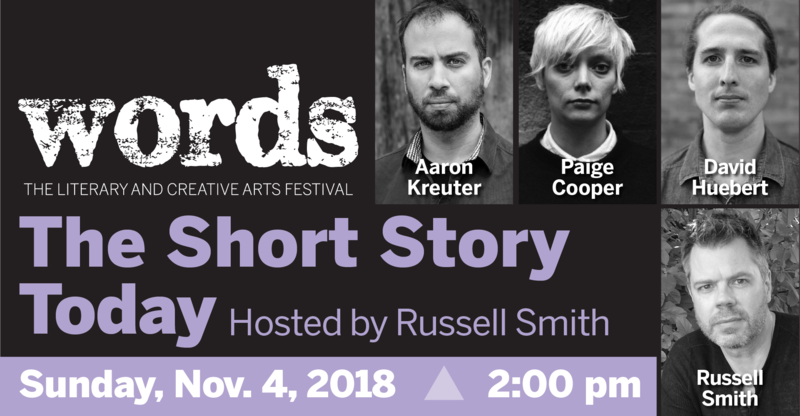 Join us at the 5th anniversary of the Words Festival for an in-depth discussion on the short story form today, featuring Russell Smith, Aaron Kreuter, Paige Cooper, and David Huebert. This event is free & everyone is welcome! Words is a festival celebrating all things wordy: books, poetry, song, children's literature, writing for the screen and stage, new media, spoken word performances and much more.